I love this recipe because it's fast, easy, you don't need any electric gadgets and the end result is AMAZING! Great for if your having people over for coffee or as a dessert, served with vanilla ice cream. - Set your oven to 180 degrees celsius and let it preheat, while getting the batter ready. - In a small pot add butter and dark chocolate and heat it on low to medium until it melts together. - In a mixing bowl add sugar, flour, cocoa powder and baking powder and stir around with a spoon. - Add the chocolate butter mix to the dry ingredients and stir it together using a wooden spoon. - Now add the eggs and mix everything thoroughly with the spoon. 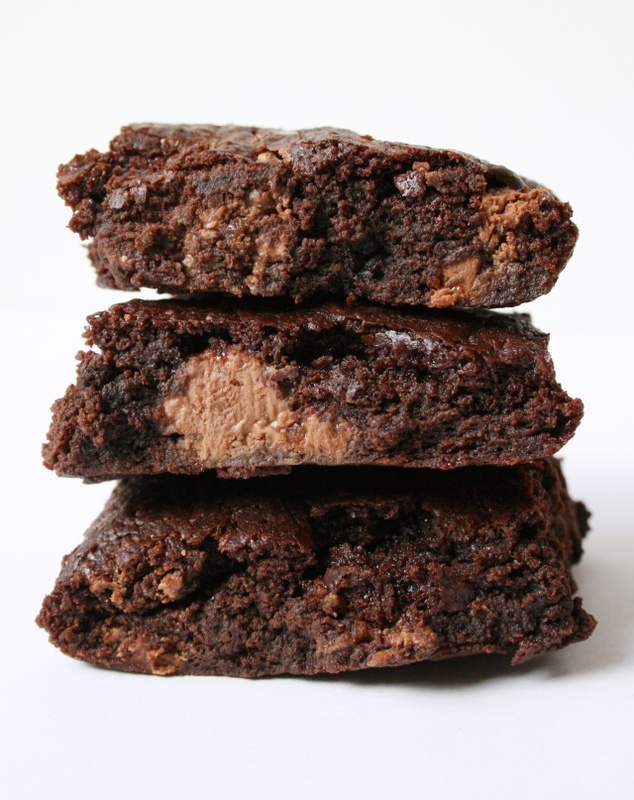 - Add nuts or chocolate pieces if you would like chunks of something in your brownies. I added milk chocolate pieces. - Line a 25x25 cm baking pan with moist parchment paper (wet it under the faucet and squeeze most of the water out) This will make the brownies even more gewy. - Add the batter to the pan and put it in the oven for 30 minutes. - After 30 minutes let the baked brownies cool down for 30-60 minutes and after that, it's ready to get cut into squares.